If you like the idea of 5 months working in the world class ski resort of Tignes and Val d’Isere with the opportunity to ski and snowboard most days and you are enthusiastic about customer service and not afraid of hard work, with a passion for the mountains, then you could be a candidate to work a season in Tignes or Val d’Isere as part of our chalet team. The quality of our exceptional staff is why Chardons has such a excellent reputation for superb service and is the reason why so many of our guests come back year after year. 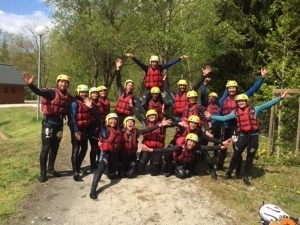 Our staff are a crucial part of the chalet experience and we therefore carefully select a team of experienced, mature and hardworking individuals with outstanding customer service skills that will ensure our clients have the best possible holiday experience. We sieve through hundreds of applications each year to find approximately 35 – 40 jobs to select the perfect team. Interviews are held in the UK during the period from the spring preceding the following winter season. 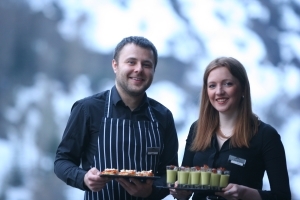 Chalet Couples – Couples are required to run a 12 to 17 person chalet (host and cook duo). More mature couples are preferred with no upper age limit, or couples with one person having professional chef experience. Accommodation in your own room is provided. 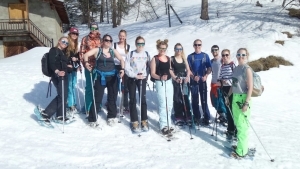 The Office Team – We employ a full team of people based in the UK but with time spent in France in the winter. This team includes a Finance/accounts Manager, an IT Manager, Sales Manager, French-Speaking PA and Resort-Reps who work very hard to ensure every practical element of our client’s holiday runs smoothly and interacts seamlessly with the back-office.